6 Step 4: A cross on the last layer too ! Do you already own a Rubik's cube ? If not go get the orginal one at Amazon for a start ! This Original 3x3 Rubik's Cube is a must have for cube enthusiasts! Are you ready to solve the Rubik's cube ? I guess you already own your first Rubik's cube and you are looking for how to solve the Rubik's cube ? You probably already tried to turn the faces in every direction and to look at it deeply to find the solution by yourself. Very captivating but also very difficult to solve, isn't it? Have you managed to solve it ? With what method? Do not try and lie to me! If you are looking at the best method to solve the Rubik's cube, you are in the right place. If you would rather see our great animations with very little talks, have a look at our 3x3 Rubik's cube solution for dummies. This page presents how to solve the Rubik's cube with a clear and detailed method. This 3x3 method has been tested and approved by beginners but also by champions. Everyone agrees to say this is the best method to solve a Rubik's cube 3x3. This method is called the beginners method and is the easiest and quickest to learn in order to solve a Rubik's cube. Rubik's cube or Rubix cube ? First of all, its name is Rubik's cube and not Rubix cube as you can read it online. As you already know, solving it is a real challenge : solving the first face is possible but solving more gets really difficult. As you as you try to solve another face, the previous one is lost and you need to start all over again. The Rubik's cube 3x3 is a world famous puzzle that made a lot of people crazy before. As I do not want you to get crazy, I have prepared the easiest 3x3 Rubik's cube solution. It is made of a technique and of different formulas that need to be applied at the right time. The method I am going to show you is the best currently available, the easiest to learn too. I have personally changed and improved some details to make it even easier. Not lost yet ? So, let's start with the best method on how to solve the 3x3. The method that is presented uses many different steps and is presented in details. I have also tried to give you the best tips and the best understanding of this world famous puzzle. The first step of the beginners method to solve the 3x3 is to visualize the Rubik's cube in the three dimensions. It is not as easy as it looks like. When you see the 3x3 cube, you need to stop thinking it is just colors moving around, that should be randomly mixed. The earlier you think about it, the better you will be with learning the beginners method. Visualizing the cube consists in being aware of the different pieces (also called cubies). There are three types of cubies : the centers (pieces with one color), the edges (pieces with two colors) and the corners (cubies with three colors). Let's come back on the centers. Every center has a given color. The centers of the Rubik's cube do not move between each other. The red center will always be opposed to the orange center. Same for the blue and the green. And the yellow and white. Try to mix your cube and verify this : opposite colors stay opposite whatever turns have been made. The centers do not move and should be considered as fixed in space. Around the centers, we are going to build the different faces. Now, you need to start thinking : Around the white center, I will build a white face. Therefore, I will bring the four white edges and the four white corners around the white center. This will bring me closer to the solved state. If this is a bit unclear to you, it is easily possible to pull apart the Rubik's cube 3x3. Once the different pieces (or cubies) have been separated, you can easily understand how the puzzle is built. And also how it works internally. To disassemble turn one of the face of 45 degrees (half of a 90 degrees turn) and use a screwdriver to pop out the edge piece. It also take a bit of time to build it back but this work is full of information. This is a very good exercise to understand how the Rubik's cube works. Even if many different methods, formulas and algorithms exist on the Internet, I chose to select and present the simplest to you. This will allow you to solve the Rubik's cube 3x3 in a record time. The beginners method is made of 7 distinct steps, divided into two main parts. Orient the corners - Finally solve the cube ! This method is called a layer by layer solving method. The last layer needs four steps to be solved but the first two layers are really quick. The last layer is the longest part of the solve, because the more you already solved and the more the algorithms need to be careful not to break what was already achieved. But do not worry, I prepared for you formulas that are easy to use and to learn. If you do not have a Rubik's cube yet, have a look at our guide to buy the best Rubik's cube. Please note that the fastest Rubik's cube solvers use an improved version of this method that allow them to solve the last layer in only two algorithms. The downside is they need to learn a lot of different formulas to be able to solve any case. This is for the day when you will be a champion ! I would advice you to get the MoYu Aolong v2, best speed cube ever ! You will not that on this animated Rubik's cube, there is a white cross on the white face. Around the white center. But also, notice that on the side the colors are aligned with the matching center. This cross has been built so that the white and red edge is between the white center and the red center. This is very important and it means that all these pieces are correctly located. If it is not the case, you will need to correct this at some point. And doing it later is harder than doing it now. So it is better to do it now. Let's start solving... But how ? With which color ? Also, have in mind that on any scramble, it is possible to solve the cross in under 8 moves. And on average it is about 6 moves. I do recommend for you to start with the same color every time. This will help you to represent the cube in three dimensions and the corresponding centers. Most of the speedcubers start with the white face. It's probably the brightest color and it is also the one I start with. Therefore I built all the animations so that they respect this logic. It will be easier for everyone. We will see in another page that the best speedcubers solve the cross on the bottom face. It can appear to be a bit weird but it helps them visualizing the following moves. For us, we will start with the cross on top. So let's put the white center on top and try to solve this cross ! I really want to let you play with the Rubik's cube and try to solve the cross by yourself. It is possible for you to find the solution. Do not forget, centers do not move and should be considered as fixed. The white center is on top. Turning the bottom face (should be yellow center) will not impact what has already been built. Let's use this tip ! In case you are struggling with this step, I have prepared three animations that show cases that happen very often. The first one is when the edge is aligned with the matching center but located on the bottom face. The second one, the edge is at the same place but flipped. It will be easier to understand on concrete examples. My advice is to first find an edge that is unsolved. Then find where it is supposed to go once solved. Next step is to get this edge on the bottom face. Once it is on the bottom face, align it with the matching center. Finally use one of the above case to solve it. I would advice you not to learn everything by heart but just a few cases and adapt to the situation. After having solved the cross, the first face only needs the 4 corners to be fully solved. By solving the corners, the first layer will be completely solved. Here again, each corner should only go to one place and one place only. Same logic than the one on the edges, aligning with the corresponding center. Congratulations ! You now have the first layer of the Rubik's cube completely solved. Do not get too excited about it. Indeed, many people are stuck at this step and can not progress to the next one. With a bit of intuition and the few tips and algorithm I am going to give you, this is going to be easy. At this stage, every move on a layer (which is not the bottom layer) will break what has been built before. This is why we are going to use algorithms. Breaking the first layer is fine as long as it is temporary and that it will be built back afterwards. Solving the second layer is an essential step in the layer by layer method. Let's start with a concrete case on how to solve this second layer ! Once you are at this step - the first layer has been solved - I would advice you to flip the cube. Now the white layer that is solved is located on the bottom of the cube. This is a very important tip and will save you a lot of time if one day you want to become a speedcuber. If the white layer is solved, why keep it on top ? Indeed, it is better to put it on the bottom so that we do not see it anymore. We can then focus on all the other pieces that need to be solved. Now the cube has been flipped, if you turn the top layer it has no effect on the bottom one. And thus, it does not break what has been already built. We are going to use this upper layer in the algorithm moves but also for preparation move. The first step is to locate one edge belonging to the second layer. It should be easy to find one the top layer, this is an edge that does not have yellow as part of its two colors. For instance the red and green edge is a good choice. The red and blue too. There are two other good examples, but I will let you find them ! If you are not sure about Rubik's cube notations, please have a look at our page presenting the notations of the Rubik's cube moves. Turn the yellow layer until you find an edge piece that does not contain yellow. This edge should then go to the second layer once the Rubik's cube 3x3 is solved. There should be four different edges that meet this criteria, and four unsolved edges on the second layer. With practice, it will become increasingly easy to find out the correct edges to solve. Once you have located this edge, turn the upper layer to put it the next to the same color center. The goal here is to find yourself in one of the two animations below. Perform the algorithm to solve the edge and permute it onto the second layer. There is a last case though that can happen. It is not the best one but it also needs to be solved. This case is called the flipped edge. It happens when one edge is in the correct location but flipped. The technique here is to first get this flipped edge out of the correct spot, by inserting any other edge. Then the unsolved edge is on the top layer and you can apply one of the algorithms above. Be careful to now insert it with the proper orientation. Step 4: A cross on the last layer too ! Nothing to do ! You got lucky... Go to step 5. Make sure the line is horizontal (and not vertical) and you can start the algorithm we were talking about. Here it is again : F R U R' U' F'. The animation below should be helping you. Start by doing the algorithm introduced in this section. Starting in any position. Then you should get the yellow line and then solve the yellow line as described above. In total, you need to do the fomula twice. Start by the formula presented in this section. After that, you should have two adjacent edges that have yellow on top. Then just go to the setion above. In total, you need to do the same algorithm three times. A new easy step for beginners, with only one algorithm to learn : R U R' U R U2 R'. That being said, you need to make sure you hold the cube in the correct position before starting the formula. You will need to turn the upper layer until you get two edges correctly located. This means, two edges with a color matching the color of the center just below it. It is always possible to find yourself in such a situation. If you can't find it, turn the upper layer and check again. The two solved edges can either be on adjacent faces or on opposite faces. Now you have two solved edges on two adjacent faces, you will need to turn the cube (not the layers) so that the solved edges are on the right and in the back. The following formula will swap the edge in front with the tleft edge : R U R' U R U2 R' U. Perform the algorithm described above in any position. You should then find yourself in the case just above. The aim of the step 6 in the beginners method is to permute the corners. After that, they should be in the right place. But not necessarily correctly oriented. To recognize a corner that is in the right place but wrongly oriented, this is easy : It has the same three colors than the centers around itself. For instance, if a corner that is, let's say, yellow - red - green is at the intersection of the yellow face, the green face and the red face, then it is in the right spot. No need for an extra permutation. The orientation of the corners will happen in step 7 so that is not a problem for now. Now you need to find out which corners are in the right place. You can have either 0, 1 or 4 in place. 2 and 3 are impossible. If you find that you have 2 or 3 cubes correctly located, you may need to pull apart the Rubik's cube and rebuild it correctly. Again, just an easy formula to solve this case : U R U' L' U R' U' L .
Turn the cube (not a layer !) to have the solved corner in front of you and on the right (and of course on top). Then perform the formula of the section : U R U' L' U R' U' L. After doing so, check if you have the 4 corners correctly permuted. If you still have one, do the same formula again and it will permute the 3 corners. All the corners should be in the right place after that. Perform the algorithm presented in this section from any starting position and you will go to the situation above. Here again, different cases are possible. If your Rubik's cube is already solved, I am sure you are not even reading these lines and you already enjoy your first Rubik's cube solve. If not, just a bit more of perseverance and we will be there. R U R' U R U2 R' L' U' L U' L' U2 L.
I know what you are thinking... It's a long one. It is, but if you look closely, the first step of the algorithm, you know it already ! It is exactly the formula that I showed you in step 5. The second part of the formula is its symmetric, to be done with the left hand. So the formula is long but it is easy to memorize. So you what to position the two unsolved corners on the left with, if possible, the same color on top. If you can not have the same color on top, do it once. Then you should have the same color on the top of the two corners. If you have three corners that are unsolved, make sure that you execute the formula to first solve one of the three corners. Then you will have two corners to solve. In total, at this stage, you should only need to do the formula twice, not more. Congratulations ! You now have managed to solve your first Rubik's cube. Hopefully with a bit of practice, you will know how to solve the Rubik's cube 3x3 without cheating. If you are wondering what makes a good Rubik's cube, have a look at our guide on the qualities of the best speed cube. 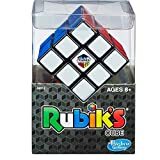 Looking to improve your Rubik's Cube speed ? Have a look at our tips and advices to increase your speed. May be you are more a video guy ? Don't go far, we got what you need ! here is a video that explains well how to solve the cube. 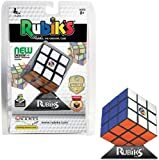 Here is a selection of the best speed cube you can buy ! I'm Edouard Chambon, former Rubik's Cube champion and passionate about the solutions, algorithms and speedcubing. 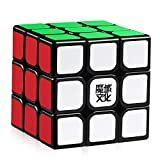 I decided to create this site to pass on my passion to all Rubik's cube fans ! Do you have a question for me ?